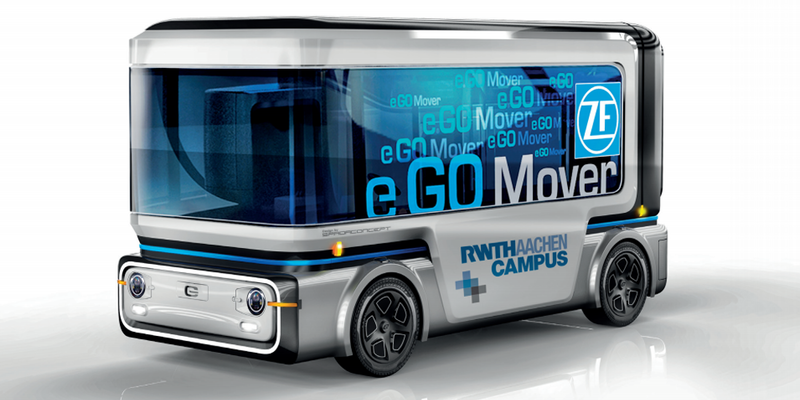 ZF and e.GO Mobile are developing the electric shuttle (eventually driverless) e.GO Mover under the umbrella of the newly founded e.GO Moove GmbH joint venture (ZF owns 40 per cent). It’ll be used mainly for deliveries, but can be transformed into a minibus able to carry up to 15 people. The company based in Friedrichshafen is indeed demonstrating its multiple systems expertise as a partner of the startup. The demand for this kind of vehicles is expected to expand up to one million in the next five to seven years. 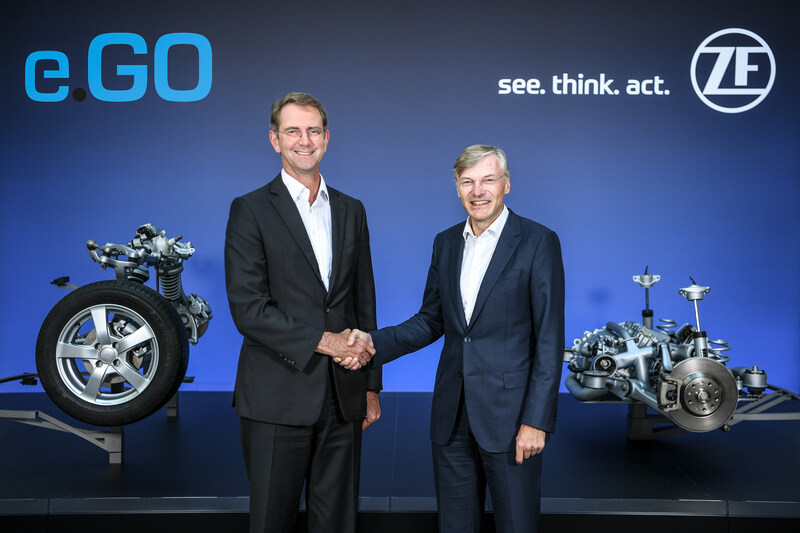 ZF’s CEO Wolf-Henning Scheider and Dr. Günther Schuh, founder and CEO of e.Go Mobile AG based in Aachen, have announced that series production of e.GO Mover will begin in Aachen in 2019. The e.GO Moove GmbH joint venture partners manufacture people and cargo movers primarily for the urban mobility needs of the future. Five-digit volumes are initially scheduled for annual production and ZF is expecting that the demand for these vehicles will reach approximately one million in the next five to seven years. The e.GO Mover serves for deliveries but can transform into a minibus for up to 15 people and will eventually drive autonomously. The company is equipping the e.GO Mover with electric drive systems, steering systems and brakes as well as ZF’s ProAI central computer (using artificial intelligence) and sensors which enable automated driving functions. A first concept of the vehicle has been unveiled in March 2017. “System providers like ZF can significantly benefit from the worldwide trend toward automated driving and electromobility,” said ZF CEO Wolf-Henning Scheider during the ZF Technology Day 2018 in Friedrichshafen. “The e.GO Mover is the first production-ready vehicle featuring ZF systems which provides an autonomous mobility concept for cities”. At the IAA Commercial Vehicles show in September this year, ZF will show further use cases for its ZF ProAI supercomputer and broad set of related sensor systems which can help to increase efficiency and save costs throughout the entire logistics chain.